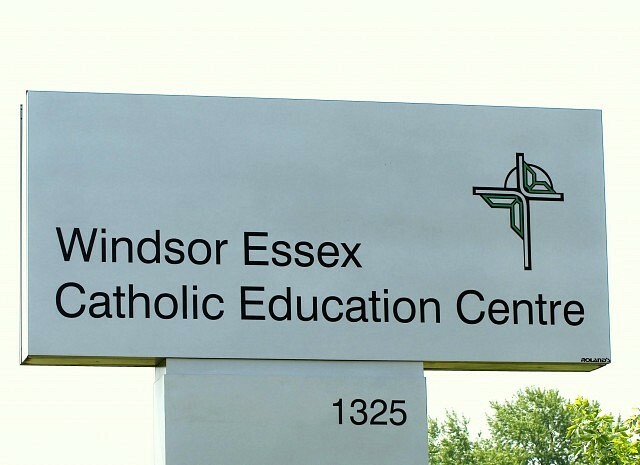 Fulvio Valentinis will take over as Chair of the Windsor-Essex Catholic District School Board, while Lisa Soulliere will continue on in her position as Vice-Chair. Valentinis who was first elected to the school board in 2014 was acclaimed to the position at tonight’s inaugural meeting. Soulliere, who has been with the Board since 2000, was also acclaimed to her position. Valentinis takes over the position from Barbara Holland, who left the Board after 18 years of service. Valentinis praised Holland for the work she has done as Chair since 2012. Elections for the position of Chair and Vice-Chair are held on an annual basis, and Trustees cast their votes for these positions at the Board’s yearly organizational meeting. Valentinis, who serves Wards 1 and 10, has sat on the Board’s audit and multi-year strategic plan committees. He said his priorities for the next term include continuing to prudently manage the Board’s resources, upgrading its facilities, expanding its innovative programming, and promoting faith-based education. Soulliere, who represents the Lakeshore area and has sat on the Special Education Advisory Committee, the Audit Committee and the Indigenous Education Advisory Committee, was elected Vice-Chair last year. She said her priorities for the next term include ensuring that the board’s resources are managed so that student achievement remains the number one concern.